A six-cylinder turbo; 20” wheels; and a cockpit that introduces richness equaling most of the floating palaces at Yacht Club de Monaco - Now we’re talking. 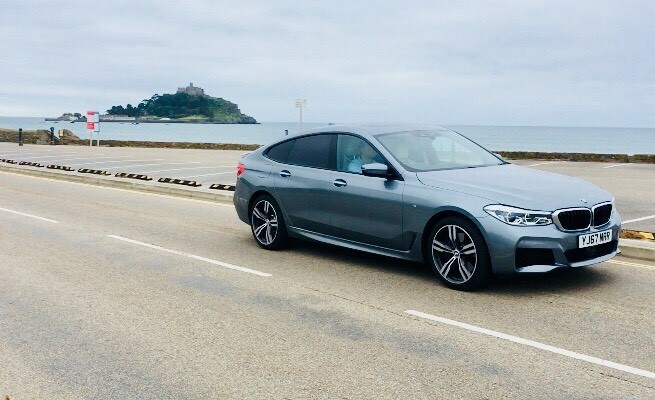 This month Morveth has been trying out BMW’s 640i GT. Cheers Ocean! I tested was spec’d up to about £70k’s worth – that’s not far off Range Rover territory. However, in a world where rarely do we part with such a capital sum I was very surprised to hear that you can contract hire a 6 Series GT from only £400 + VAT per month. That’s the figure which is relevant here and, on that basis, it is accessible to businesses looking for luxury. I see this as a bit of a hybrid between an X6 and a 5-series. Not as tall and off-roadie as the X6 but more jacked-up and bigger than a 5 series. 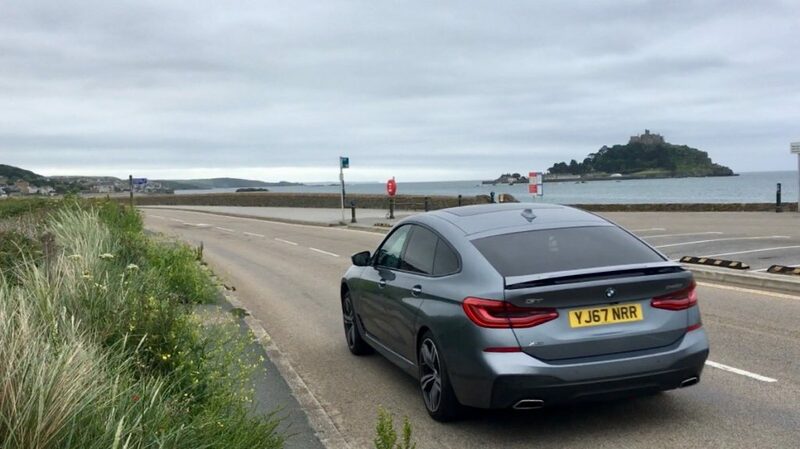 The drive and capabilities reflect this too – a tall enough vantage point to browse over the top of Cornish hedges but still low enough to handle sharply without feeling top heavy and boat-like. It is an absolute delight to sit in, this is the best part for me: (bring out the superlatives) Perfect driving position; superb user-friendly layout; super-comfortable, and highly spacious. Inside it certainly feels worth the money – such a refined lovely vehicle to cruise around in. vibrate (with varying levels of aggression) if you cross lanes unknowingly. The Intelligent Voice Control System worked well for me too. Similar technology from other manufacturers that I’ve tested have been a total waste of time. The performance, whilst largely superfluous on Cornish roads, adds to the refinement because of the way it effortlessly wafts it along, yet can still put a smile on your face. The economy is better than I expected, probably because the 335 horses have little work to do along with BMWs efficient dynamics. encouraging contract hire rates, making it a more than worthy player in the class.